Loving /// experiencing Christmas time with a 3 year old. It’s freakin’ magical! Everyday she talks about baking a cake for Jesus’ birthday, coloring pictures to leave for Santa and picking out a gift for Max. It snowed this week and I’ve planted a firm obsession with hot almond milk cocoa in my girl’s heart. Oh Christmas, we love you ’round here! Moving /// bedrooms around … AGAIN. Last month we were asked if we would welcome a second international student into our home from January through June and we said yes! So, goodbye guest room – hello second teenager! Needing /// a little self-control with holiday baking. But everything is SO good. Last night I made these and these and they were both perfection. Plusalso, I’m finally working on an alphabet book for the kids! 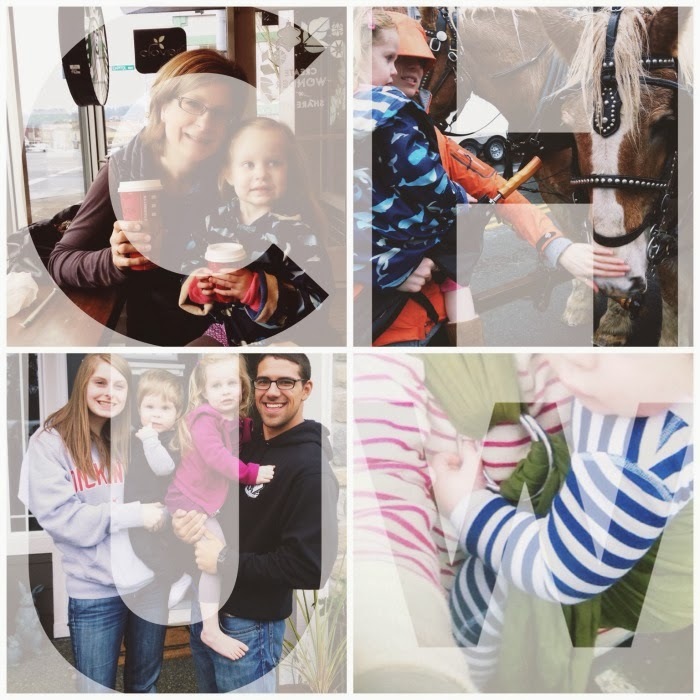 We’ll see how long it takes me … some of my favorites so far are C for coffee, H for horse, U for uncle and W for wear (as in babywearing). Birth Settings – awesome infographic! Chocolate Fondue – made this for Hannah’s bachelorette party, yum! Superfood Chocolate Pudding Cups – making ASAP! These were seriously all so wonderful. The internets is puttin’ out good stuff these days! Enjoy and happy almost weekend! P.S. Have you joined the deal site, The Clymb? They offer family friendly, outdoorsy type of things. Right now they have Strider bikes! By signing up here, you and I both earn $15 to shop! Deals, I love ’em!